GUELPH, ON – Wellington Brewery has announced the release of a beer created in collaboration with radio station Magic 106.1 to support a local charity. Today’s best mix is a refreshing blend of Helles Lager and fresh lemon and orange juice. Created with the crew at Magic 106, we crafted this summer treat to have fresh notes of citrus and lemon and a crisp, clean finish. 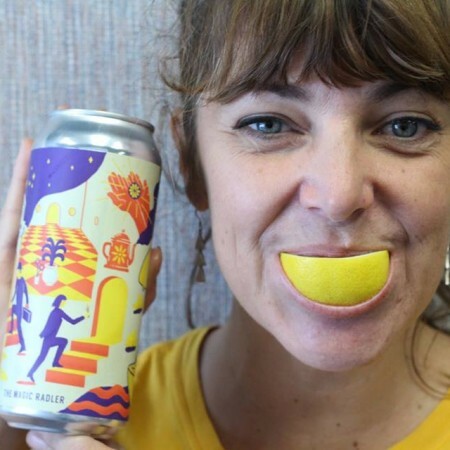 The Magic Radler is being launched today (August 10th) at Wellington with a release party from 4:00 to 7:00 PM featuring prizes, brewery tours, and a live-to-air broadcast by Magic 106.1. Following the launch party will be a special ticketed event from 7:00 to 9:00 PM presented by Queen of Craft, featuring beer cocktails with chocolate and cheese pairings. Proceeds from the ticketed event and 25 cents from every can of The Magic Radler sold will be donated to Guelph-Wellington Women In Crisis. For more details and to purchase tickets, see the full announcement on the Wellington Brewery website.